It amuses me to think of Facebook being David and some other internet business being Goliath. 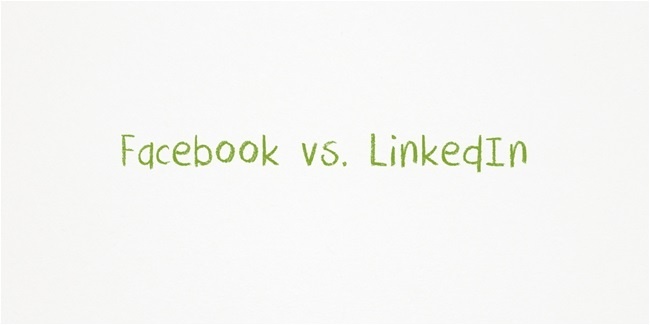 But in the case of recruiter spend on social sites, LinkedIn is most definitely the Goliath and Facebook the upstart David. But could it be that LinkedIn’s own history actually turns out to be its undoing? You see today we all view LinkedIn as having commandeered a massive chunk of the global spend on recruitment marketing. Yet it wasn’t that long ago – circa 2008 – that LinkedIn’s business wasn’t focused on recruiting at all. For several years it was a very fast-growing networking site with no seeming plan to turn that position into the recruitment-led business it is today. That’s what makes Facebook particularly scary as a potential competitor. Here’s a business that has give or take five times the reach of LinkedIn; a userbase that’s active on the site to a degree that LinkedIn can only dream of; and the ability to reach candidates in sectors that you don’t typically view LinkedIn as being able to reach. I’ve wondered for some time whether Facebook might make moves into this space as the hiring market rebounded. After all, it does have shareholders to please and the need to grow revenues without populating our streams with ever more sponsored posts. Several things have happened this year that make me think Facebook is now taking aim at LinkedIn’s recruiting dollars. The first was the launch of Facebook Graph Search, giving recruiters a means of searching the profiles of Facebook members to try and track down shortlist candidates based on where they work and where they live. The second was seeing Facebook roll out a profile completion bar and prompt, encouraging users to fill out their profiles with ever more detail. Then we saw the addition of the Professional Skills section, a blatant move to have ever more talent data about its userbase available for recruiters to mine. A Shift in Recruiter Sentiment? Now I should say that Stéphane’s company have just launched a new recruiting tool - Graph Search Recruiter - that makes it easy for recruiters to search for candidates on Facebook, send them invitations to look at open vacancies and then track the responsiveness of these approaches. So perhaps it’s unsurprising that he should see the market trends moving in this direction. But I have to say this echoes what I’m hearing too. What’s fascinating to me is how this tussle between LinkedIn and Facebook will play out. As things stand, it costs recruiters just $1 to contact candidates on Facebook. For anyone who’s bought any kind of LinkedIn premium service or recruiter licence of late, you’ll know this is a tiny fraction of the equivalent spend on LinkedIn. My hunch is that this huge price advantage is something Facebook will be able to sustain. Its advertising offering is far more mature and established than LinkedIn’s. And the frequency with which people visit the site means it’s in a better position to drive those advertising eye-balls. At which point, Facebook can afford to keep its pricing aggressive in the battle to win recruiter market share. Plus with over 1 billion users, what it loses in lower pricing it could make up in part with higher volumes. Talking to Stéphane Le Viet and seeing their product in action, it was interesting to see how sourcing from Facebook allows recruiters to tap into niches like Nursing, Graduates, Truck Drivers, Restaurant workers and the like – all of whom are active on Facebook but less likely to be found on LinkedIn. There’s certainly a portion of the recruiting market that LinkedIn hasn’t focused on serving who are going to find this Facebook move a breath of fresh air! The Work4 solution already boasts clients like PepsiCo and GroupOn, with a backlog of companies waiting to be set up on the system following the launch of the offering in the last weeks. So it seems there is indeed an appetite amongst recruiters to branch out from their reliance on LinkedIn. But before this starts sounding like a “LinkedIn is doomed” post, there are a number of aces LinkedIn has up its sleeve that simply can’t be ignored. For me the most significant of these is recruiter productivity. Firstly LinkedIn holds vastly more talent data about each of its users than Facebook, meaning a recruiter’s ability to narrow down to those candidates of most interest is far greater. I can’t see this gap being closed anytime soon, no matter how hard Facebook pushes us to provide fuller profile information. Then you have the streamlined processes by which recruiters can search for candidates and contact them on LinkedIn, plus store searches and view other similar candidates. I can’t help thinking that several searches could be completed on LinkedIn in the time it would take to complete one on Facebook. Which has me wondering – maybe that’ll make Facebook the preserve of recruitment agencies, willing to go the extra mile; with inhouse sourcing teams remaining focused on LinkedIn? It’s very early days for now – but we’re living through very interesting times with LinkedIn no longer the only game in town. How do you see things unfolding in the coming year or two? Do let me know in the comments.